Help Big Car Gallery Make Some Noise! 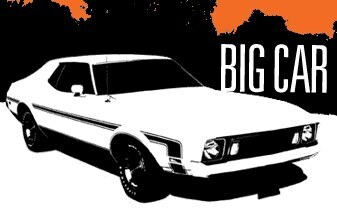 Thanks for your support of Big Car and Second Story! As you may have heard, we are trying to move to a new location in the Murphy Art Center that will increase our visibility and options for live music, art shows, kids programs, film screenings, readings, zine archiving, beer events, etc. And we just want to create a cool place for people to hang out that has regular hours. So we applied for the opportunity to do the Pepsi Refresh program — here’s the link: http://www.refresheverything.com/bigcar — so we can receive $50,000 to help make this happen. Our page has a couple of technical glitches the Pepsi people can’t fix now. But we’re not worried about that. We just need votes. Lots of votes. You can vote once per day from any IP address. So stuff the electronic ballot box!